Passing the IELTS Writing Task can be tough! 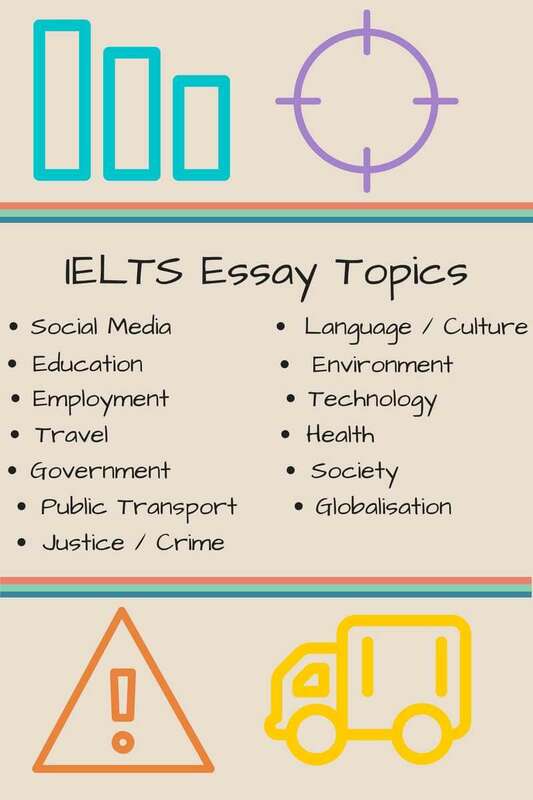 Here you’ll find some useful IELTS writing topics plus a consistent essay formula that will help structure your essay and paragraphs. The essay writing task is included in both the general and academic IELTS. You will have 40 minutes to write a 250-word response to an essay question. Your essay should include four paragraphs (an introduction, two body paragraphs and a conclusion). 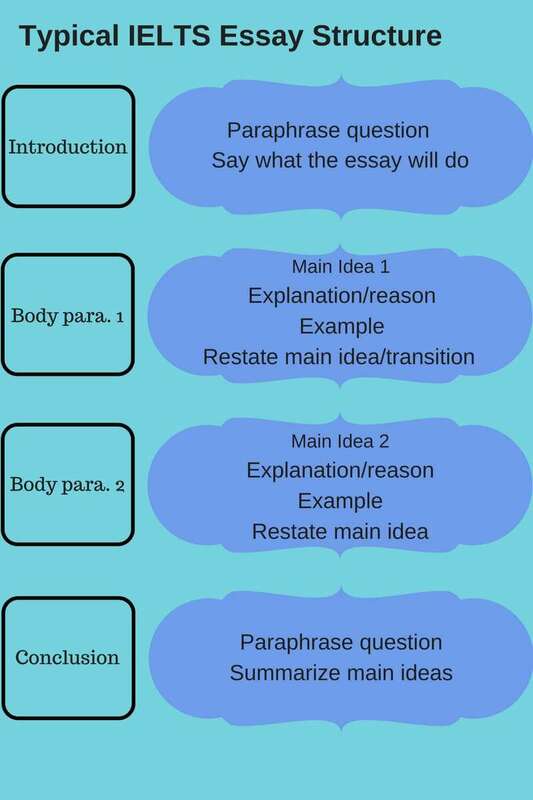 Although there is a consistent essay formula that will help you to structure your essay and paragraphs, you need to be aware of the different types of essay questions there are. The way you use the formula will differ according to the type of question. It is important to have a planned essay structure for responding to the IELTS writing topics. You can use this to answer any essay question type, but your essay must be tailor made for the question type. Less and less parents these days are smacking their children. Some people think that this is leading to a generation of misbehaved children. Do you agree or disagree with this view? This question is related to the topic of smacking children. The idea that not smacking is actually a bad thing. The question is asking if you agree with that idea. Your essay will have to answer that question by giving your opinion and then explaining why with supporting ideas and examples. Some graduates prefer to travel for a year between graduation and gaining full-time employment. Discuss the advantages and disadvantages of this. Here you will need to present both sides of the argument (one per paragraph) with supporting ideas and examples for each. Some people think it’s the government’s responsibility to tackle environmental issues. Others believe it is up to each individual to be environmentally responsible. Discuss both sides. Here you need to spend one body paragraph on each opinion, giving explanations and examples for why people may hold each view. Some people think it’s better to educate boys and girls in separate schools. However, others believe that boys and girls benefit more from attending the same school. Discuss both views and give your own opinion. In response to this essay question, you’d need to discuss both opinions (one in each paragraph) and give explanations and examples to support each one. You’d also have to say which one you agree with. You can do that within the body paragraph. The overpopulation of urban areas has led to numerous problems. Identify one or two serious ones and suggest ways that governments can tackle these problems. Here you would talk about the problems caused by overpopulation in the first body paragraph, and suggest some government-led solutions in the second body paragraph. Today more people are travelling than ever before. Why is this the case? What are the benefits of travelling for the traveller? Here you have two questions to answer. 1. Why are people travelling more than before. 2. What are the benefits of travelling. You should spend one paragraph on answering each question. The best way to be ready to write about these topics is to be familiar with them. You will need to generate ideas during the test and come up with examples from your own knowledge and experience. This is why you should read about general topics to broaden your general knowledge. This will have the double effect of widening your vocabulary and reading skills as well as giving you knowledge that you can then use to generate ideas for your essay. So, read a blog or social media article or watch a Ted talk and documentary per day on the IELTS writing topics listed above. For more formal test preparation, professional IELTS coaching from experts will help you apply the essay formula to different essay questions. Feedback is another important aspect of preparing for the IELTS writing task. 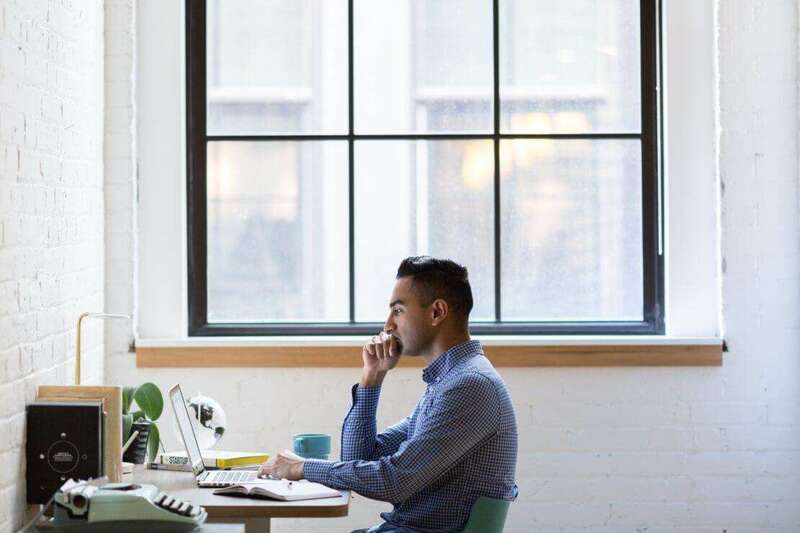 Learning IELTS online with E2language will provide you with effective methods, practice essays and expert feedback to feel confident and prepared to write your IELTS essay. To boost your preparation for IELTS, register and attend the E2Language IELTS General and Academic Live Classes. And check out E2Language’s Blog to practice IELTS activities! iN this video, @ 25:55 mins… wouldnt the last sentence be “Crime is one of the factors” ? with ‘s’… Thanks. I have already become a thirsty watcher & learner. i think it could be very helpful for me.